Do you know those smartwatches from Apple, Samsung and the like? Each one of them has several functionalities, many of them equal, others particular of each brand, but in essence, practically all do the same thing. 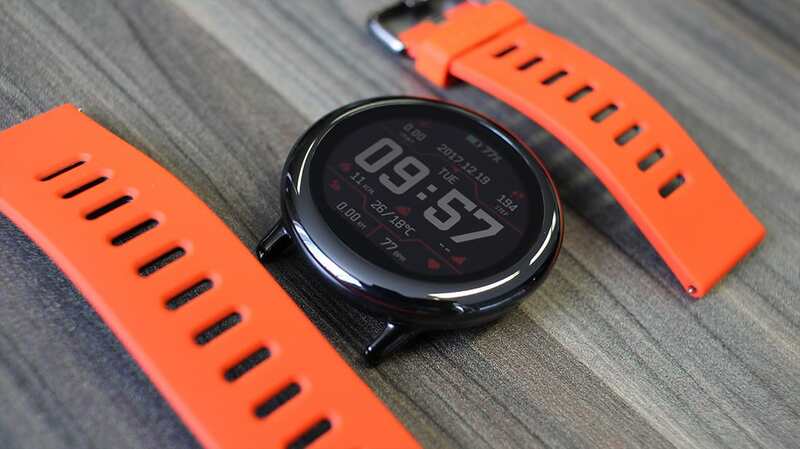 The Amazfit Pace smartwatch is produced by Huami, a company that Xiaomi invests in producing the Mi Bands. It is currently the largest company focused on the wearables business in the world, having sold more than 50 million units and accumulating about 17% of the market share of these products. The company, based in Mountain View, Calif., Received a $ 35 million investment from Sequoia Capital, Shunwei Capital Partners, Banyan Capital, Morningside Ventures and Xiaomi. I already had a MiBand (cheap, few features), a MiBand2 (cheap, little more than MiBand), a ZenWatch 3 (good, 1 day battery, but expensive), and now I bought Amazfit. He is much better than I expected, but not everything is flowers. It is made in a metal body with rubber band in red color. Honestly, I think it’s too cute when the occasion is casual. Something more formal, this bracelet is certainly not cool. 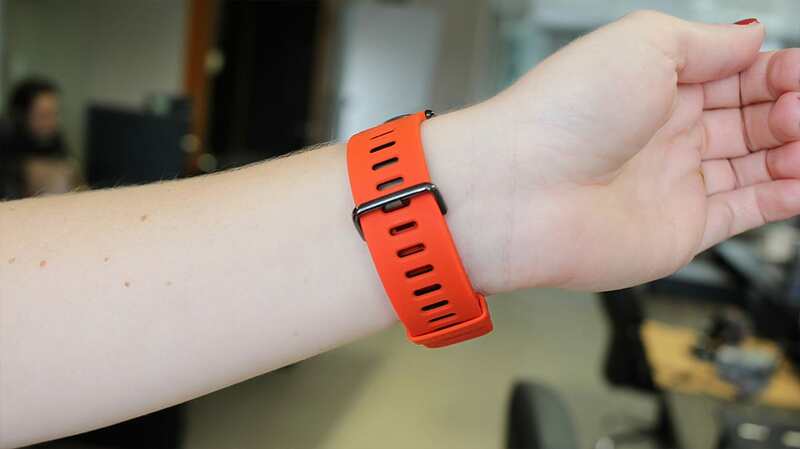 But as it is a normal wristband, you can easily change into any watch. There is also the option to purchase the black color bracelet. His 1.34 “LCD screen has a glow below what the photos show. Yes, it’s obviously easy to see the hours and information on it, but it’s not even close to the smartphone screens. Her touch screen is only activated when the single button is pressed. To open the menus, you need to make gestures by dragging your finger from one side to the other. As already said, it has enough brightness to be able to show all commands and information even in the sun. The screen is more pulled to a monochrome than an LCD screen, so you can see the information from virtually every viewing angle. It is equipped with many features, physical activities, reminders, notifications, stopwatch and obviously show the hours, I will now outline the main ones. The activities are diverse, running, cycling, elliptical training, mountain climbing. In addition, you can also monitor indoor activities such as running on the treadmill and cycling on the treadmill. When the subject is outdoor, the GPS equipped helps to monitor speed and averages. If running on an athletic track is your choice, you can set it to automatically monitor the turns by bringing your track averages, a pretty smart feature. In activity, you can set up a heart monitor to alert you whenever you exceed this value. I set it to 189 beats per minute, which it automatically presented for my physical (big) size and age. Do you need to lose weight? Certainly the nutritionist must have indicated physical activities of cardiac intensity, with which you can monitor, alert and soon after the end of the exercise, analyze the whole course. Yes, connected to your smartphone or not, you can control music through your smartwatch. When connected to your phone, you can swap and pause music. Without the phone, you will need a bluetooth headset and music is stored in the 4GB of internal memory. That’s right, music transfer happens by plugging the USB cable into the computer, it will work as a smartphone connected to the PC. The songs stored, just connect the handset and are ready to listen to songs in the workout without the need of the smartphone around. Connected and paired via bluetooth with your smartphone, you can turn on phone notifications to appear on your watch. 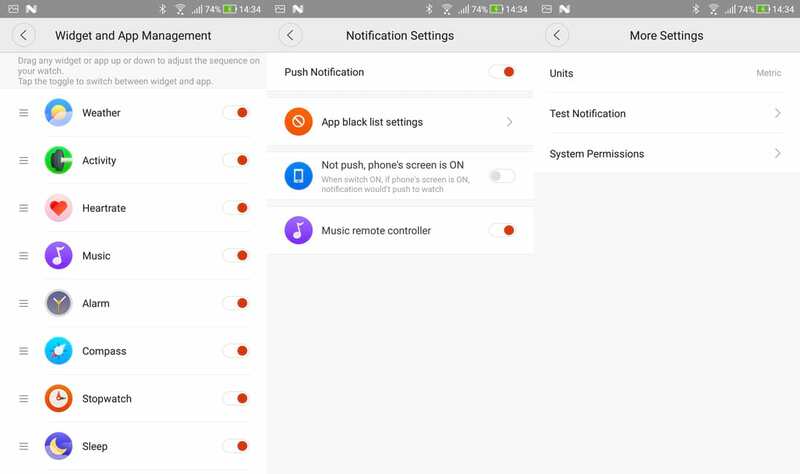 Every notification will vibrate from moderate to strong, depending on your configuration. I confess that I’ve turned off notifications, it’s often vibrating. This feature allows you to monitor heart beats. There are two options, either to monitor when you want, or to create a continuous monitoring routine. In the second option, it records the beat for a period of four hours from the time you activated it. 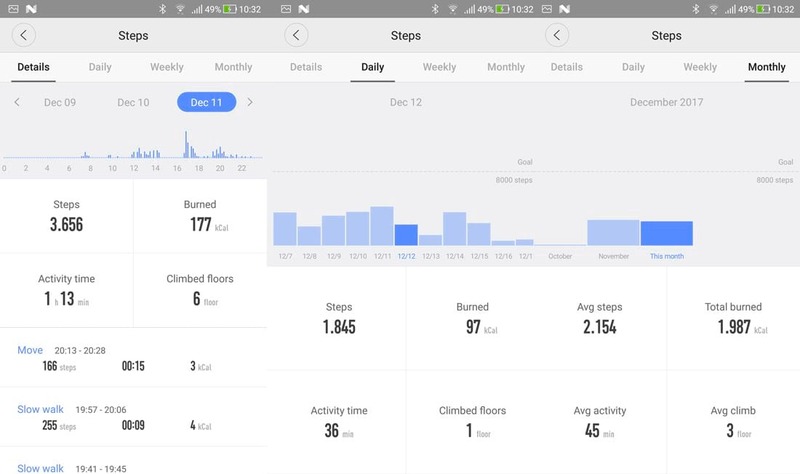 The step tracking is the same as the Mi Bands. Every time your arm sway. This data accumulates on the clock until it is logged on to the server. You can see them both in the watch and on the smartphone, it also creates a history, as well as the sleep monitoring. There is even a daily goal of steps that you can change, every time you reach the goal, it will notify you by warning. 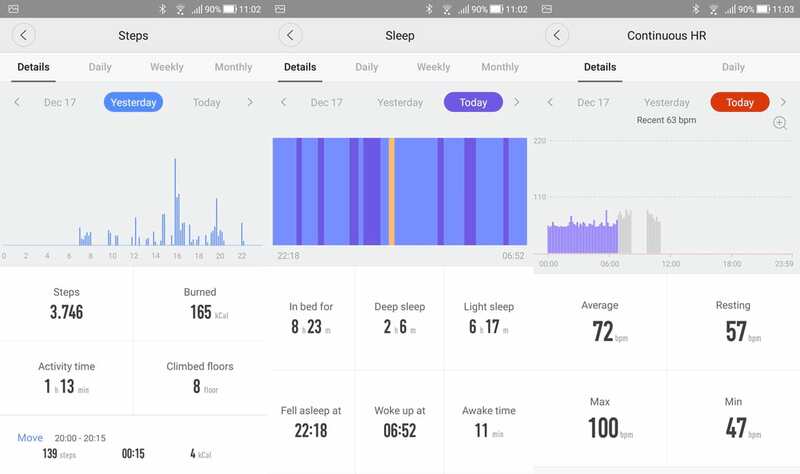 Amazfit has ability to measure sleep patterns, which users can see in graphs and history in the application and also in the watch. It differentiates into light sleep and deep sleep. 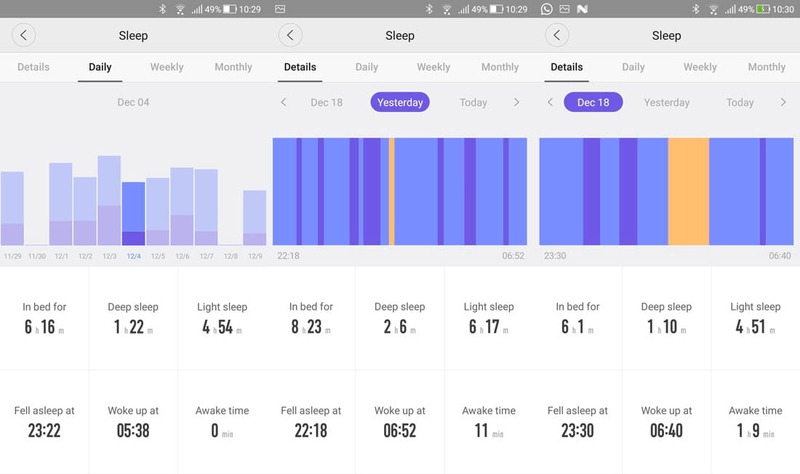 The tracker measures the user’s movement through a sleep cycle, there are five stages of sleep. Each cycle is approximately 90 minutes. By means of the movement that the user makes, based on these five cycles, the quality of sleep is classified. Light sleep is measured when muscles are relaxed, breathing and heart rate slow down. Deep sleep happens when there are even fewer movements and the heart rate along with the breathing decrease further. These are the basic features of Amazace Pace. Amazfit does not use Android, as many may think. 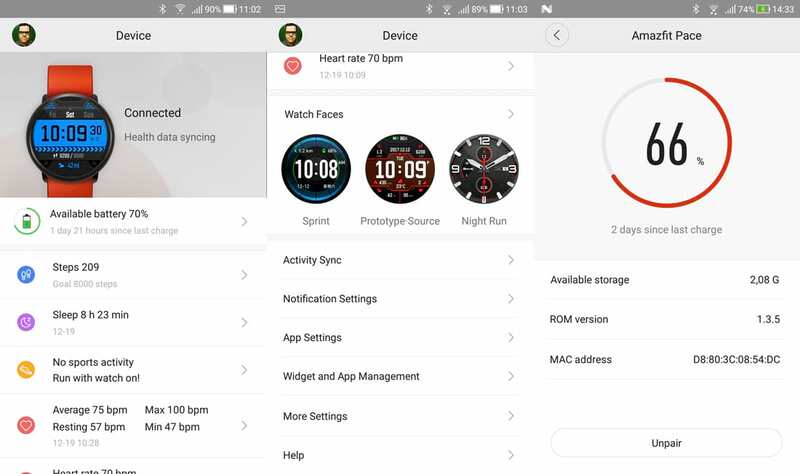 Although features and gestures are quite similar, Xiaomi’s smartwatch is equipped with proprietary software. There are two problems I see in proprietary software. The bottom line is the lack of third-party apps, in a nutshell, you will not have Google Play apps to install on smartwatch. The other point I point out is the lack of connectivity to apps for physical activity. Currently it is only compatible with Strava. In contrast, the usability is good, from time to time a bit slow, but overall goes well. 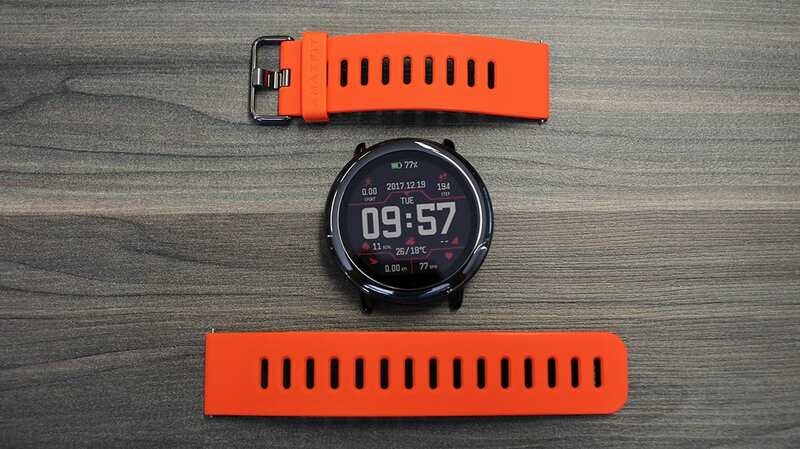 On your smartphone: To integrate your smartphone with smartwatch, you need to download the Amazfit Watch app on Google Play or the App Store. The clock sends the information to the server, the app downloads this information and displays it on screens that are clean and easy to understand. Sleep data: hours of sleep, hours of deep sleep, hours of sleep, and some more data. In the app, you can also change the theme of the clock, including uploading an image and using it as a face, configuring the whole system as notifications, metric units, whatever you can configure on the clock, the app lets you do the smartphone too. 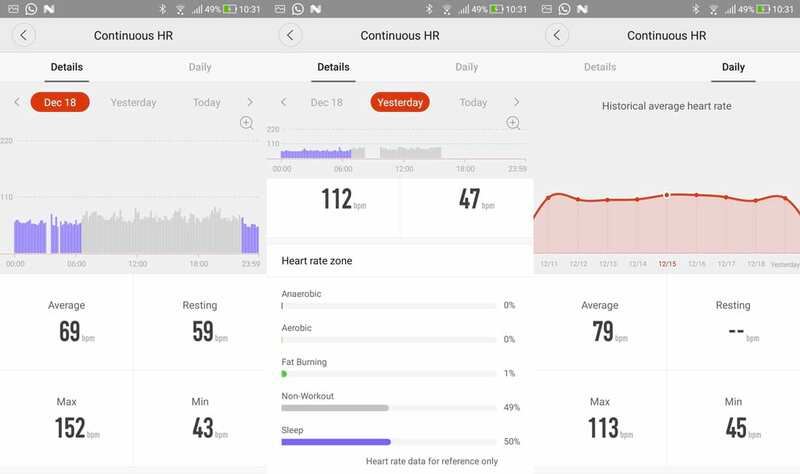 Activity, sleep, and heart rate data are stored and form a history, which can be viewed at any time in the application. Well, for the price charged outside the country, imported from China, the watch costs between $ 200 ~ 250 (increased the price) $ 300 ~ 530. 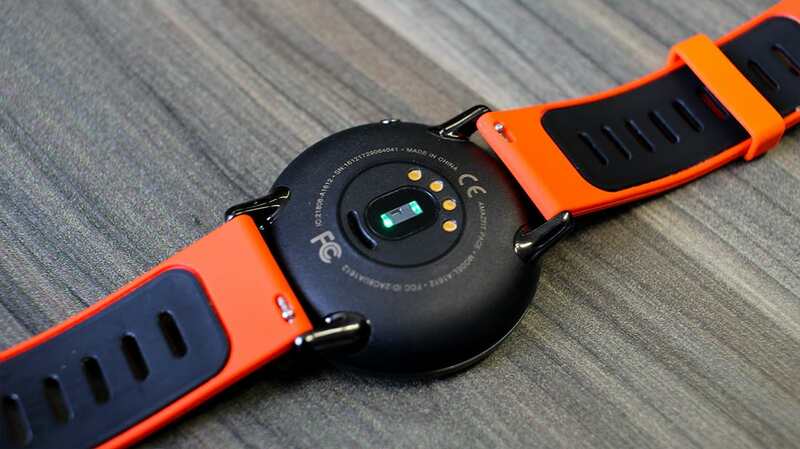 An excellent cost-benefit for those looking for a cheap smartwatch, with impeccable workmanship, basic functionalities useful for day-to-day and lasting the battery for at least four days. As I said before, I had the MiBands, I tested the GearFit and the Zenwatch 3 from ASUS, all these do pretty much the same thing, the difference between them is basically in price and some other functionality. The best cost / benefit among these, without a doubt is the Amazace Pace. I indicate to CAFAGO , store similar to Gearbest and Dx, that was where I acquired the product.